To be successful in web development and web design, it's important to understand the nitty-gritty of what happens under the hood, to write clean code and to identify the interactions between languages. This approach enhances comprehension of what code standards mean and how to implement them effectively. Personally I still do, and probably always will, keep hand-coding and thoroughly enjoy it. The dirt under a gardener's nails is a sign they're not afraid to get down to the roots - and so it is with coding. WP was and still is a great tool for what it was designed for: blogs or microsites (basic websites around 10 pages). In fact, I would say it is probably one of the best out of the box blogging solutions available because it gets you up and running quickly. It builds what are often referred to as 'microsites' or 'brochureware', which translates as a basic site consisting of a some static pages with imagery and perhaps a blog with tagging. When I used WP it was an evolution from Joomla and came out with somewhat cleaner code and a nicer admin interface. However, the multi-user granularity and control over the templates and interface were still too limiting so I knew that ultimately I would need to move on. The trick was to find that CMS that would fulfill as many goals as possible because looking towards the future, I knew client's needs would soon require a level of customization and functionality that WordPress simply was not designed for - which brings us back to the 'right tool for the job' paradigm. WordPress is relatively easy to learn and you don't need to be a programmer to build a site with it - which also highlights how it is limited when it comes to flexibility. Still, admittedly I liked WP and it served its function but as my skills grew along with demands for customization, I knew I would outgrow that relationship. By now, there were hundreds of CMS's (and now there are over a thousand!) but we all know that popularity doesn't necessarily reflect equivalent quality. Unfortunately, WordPress is notorious for being the most hacked, least secure of the most widely used CMS's and numerous hosting companies that we use send out regular customer bulletins mentioning another WP hack is out and circulating. Now, to be fair, it takes a skilled and experienced developer to make the site - any site - resilient against hacking but since WordPress is used by so many novices, the security holes aren't closed. The lesson here is that no matter what CMS you choose, its quality is largely a matter of how experienced the developer is with it. Still, I knew another CMS solution was out there, an underdog which could do what WordPress could do but more. Continuing the analogy, WordPress is akin to a Smartcar - efficiently suited for a particular task of running errands in a city but still limited for expansion. As demands for a greater level of customization, features and complete design freedom grew, I needed to search for a more capable CMS. The contenders then were Plone, Django (both use the Python language), and Drupal (PHP). 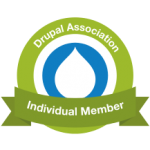 After much research and comparison, Drupal presented itself as the most practical answer since it combined features I appreciated from Joomla and WordPress but then went beyond them both in terms of capabilities. It's known as a developer's dream because it is so highly adaptable and as a programmer that also meant learning Drupal's inner workings took slightly longer than either Joomla or WordPress had but it was in those depths that treasure lay: A powerful theming engine, hooks, complete control over the user interface, the ability to intercept and change output in any way I wanted, and being able to match any graphic design to the site - Drupal was built with these needs in mind, this freedom of customization - and that's its edge. We rode out version 5, then 6 which was vastly improved but could have been better. With the advent of Drupal 7 over a year ago, the system lept to becoming a simpler and yet more powerful tool. I love working with it. If you're considering programming with or having a site built with Drupal, know that [in the right hands] your needs can be met to the letter, right down the controls, inputs, etc. To use yet another analogy, WordPress is like a toolkit that you might keep in your car - the wrench, screwdriver set, pliers - the basics which can get you by and that is a good thing. As a Drupal developer however, you instead walk into an industrial arts workshop complete with power tools, workbench, jigsaw, just about anything you'd need - which is simply awesome. It can be used for small microsites, medium sized or near-enterprise level. Drupal enjoys a reputation for having the least number of hacks and exploits on average. In fact, it's what the WhiteHouse.gov is built with (also: Knowledge Network, MTV, Macword, FedEx). Of course, it's not perfect - every CMS has its challenges - but you get tremendous versatility which makes a crucial difference highlighting that a Drupal site can be anything that a WordPress site can be but the reverse is typically not true. Why choose something less capable because it's more popular? If Drupal were a car, it would be a 4-door Subaru Forester - not quite an SUV but powerful enough so I can drive in the city, go camping up the coast or cross the country easily. Evolution tells us the most adaptive species are those which survive. I don't want my client's websites to be just 'good enough' but they need to instead be adaptable to not just current needs but future ones as well. This highlights Pure Web Media's choice to focus and offer the benefits of the Drupal CMS. It's essential to have the ability to create a site appropriate for a client's needs, able to facilitate a modern design (which ultimately frees the designer to be as creative as they want) and we can't ignore the importance of adaptive / responsive websites. Both WordPress and Drupal are good at that, but as I mentioned, I'd rather choose the most flexible framework for my clients. It's important to note that we are not brand-loyal however. Drupal may be the best overall solution for a website framework right now, but like evolution, change is the only constant. There are other CMS's other than the ones discussed which from a distance seem that they could become top contenders, so we will keep our eye on those. Until then however, Drupal is the wisest choice for now in our opinion.